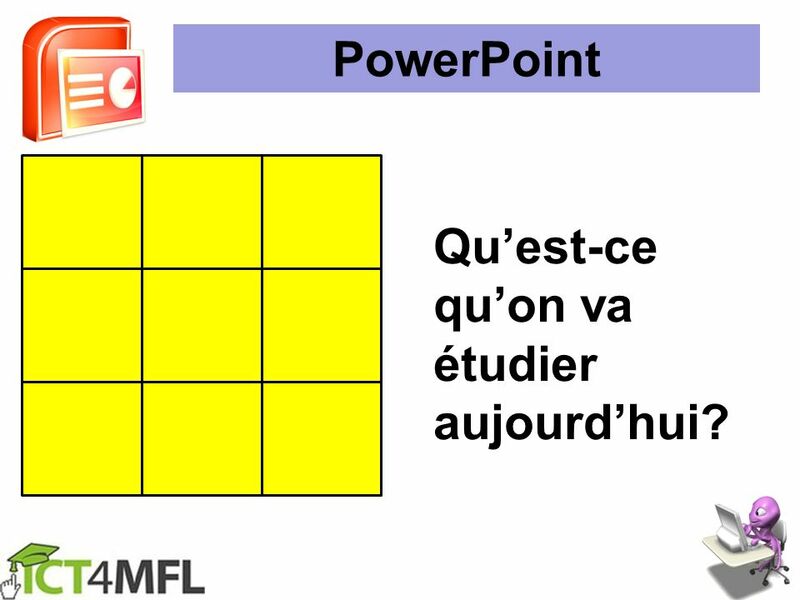 3 PowerPoint Qu’est-ce qu’on va étudier aujourd’hui? 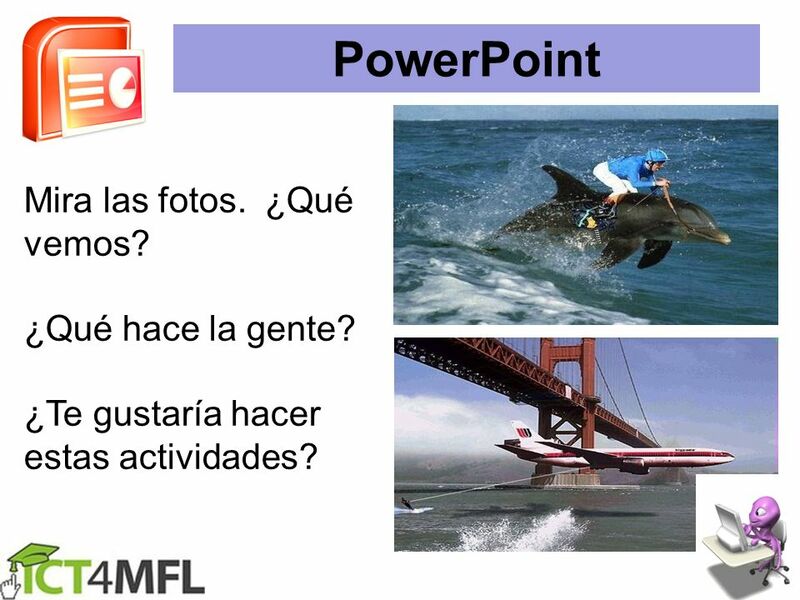 4 PowerPoint Mira las fotos. ¿Qué vemos? ¿Qué hace la gente? ¿Te gustaría hacer estas actividades? 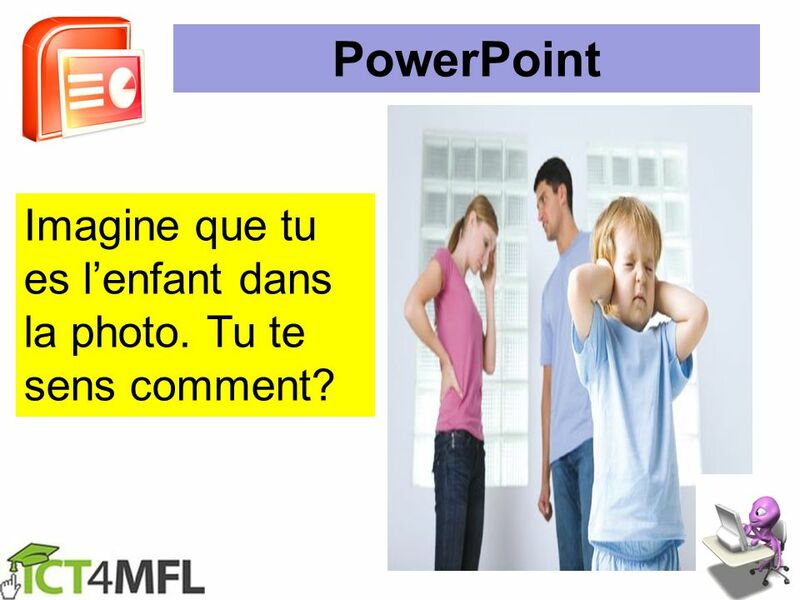 5 PowerPoint Imagine que tu es l’enfant dans la photo. 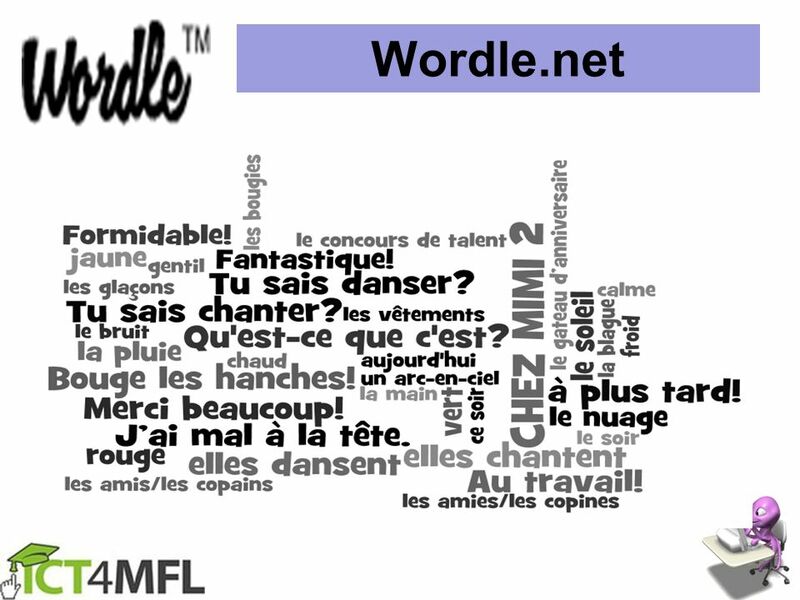 Tu te sens comment? 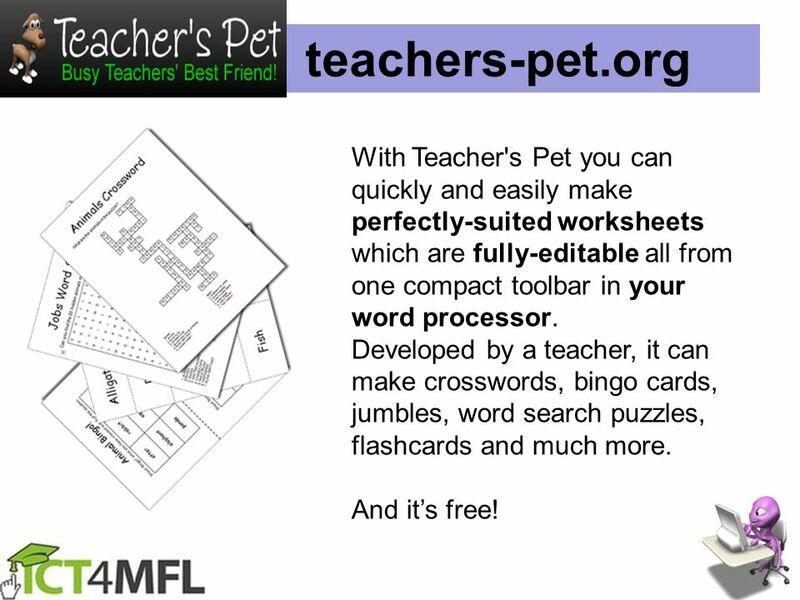 10 teachers-pet.org With Teacher's Pet you can quickly and easily make perfectly-suited worksheets which are fully-editable all from one compact toolbar in your word processor. 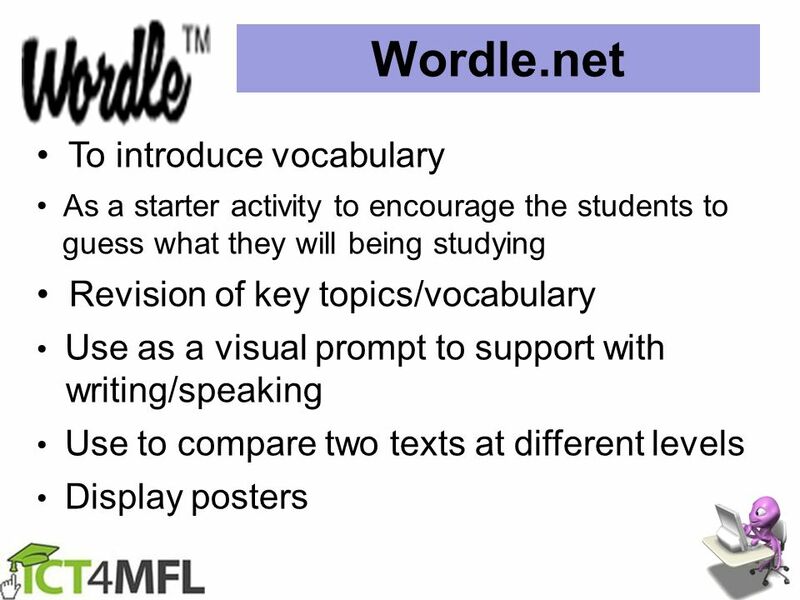 Developed by a teacher, it can make crosswords, bingo cards, jumbles, word search puzzles, flashcards and much more. And it’s free! 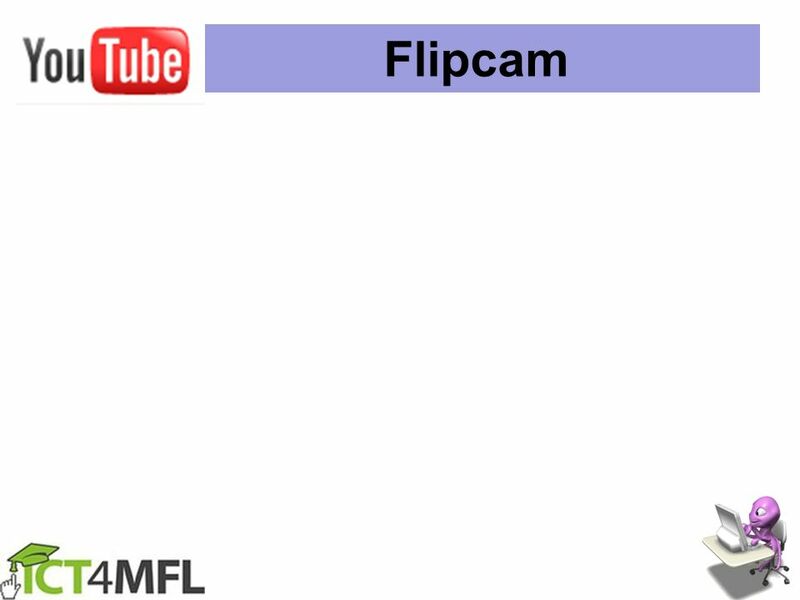 12 Get your students animated about learning! 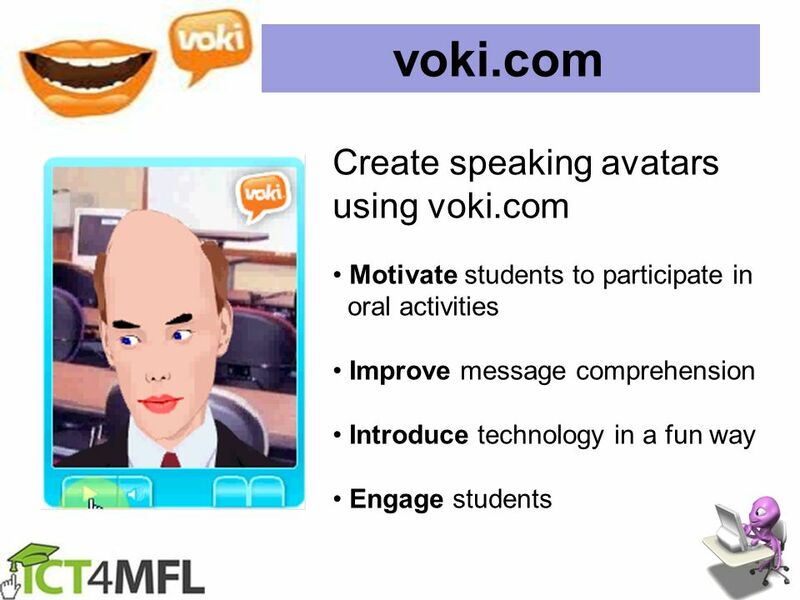 goanimate.com Get your students animated about learning! 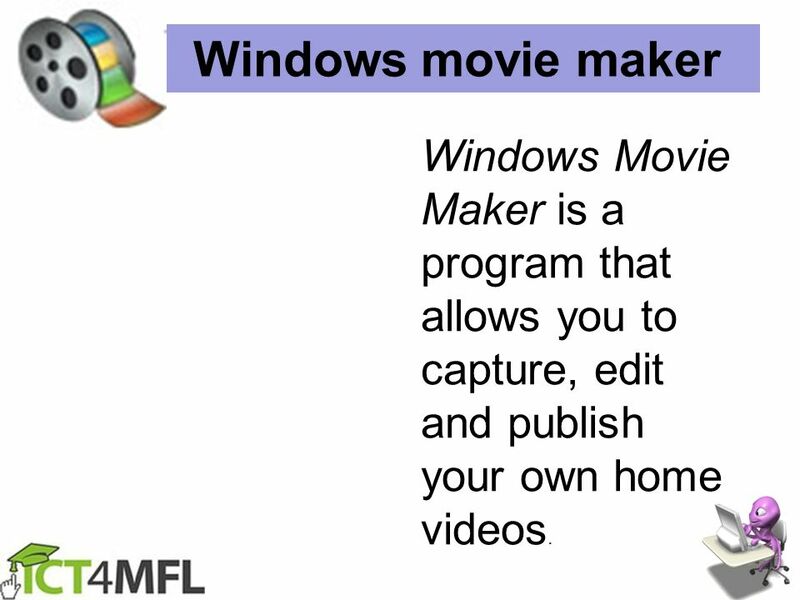 13 Windows movie maker Windows Movie Maker is a program that allows you to capture, edit and publish your own home videos. 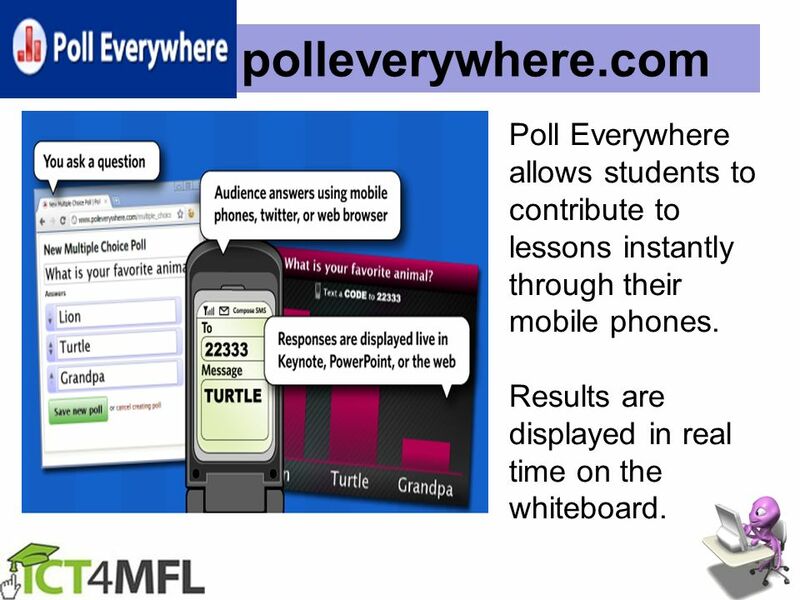 18 polleverywhere.com Poll Everywhere allows students to contribute to lessons instantly through their mobile phones. 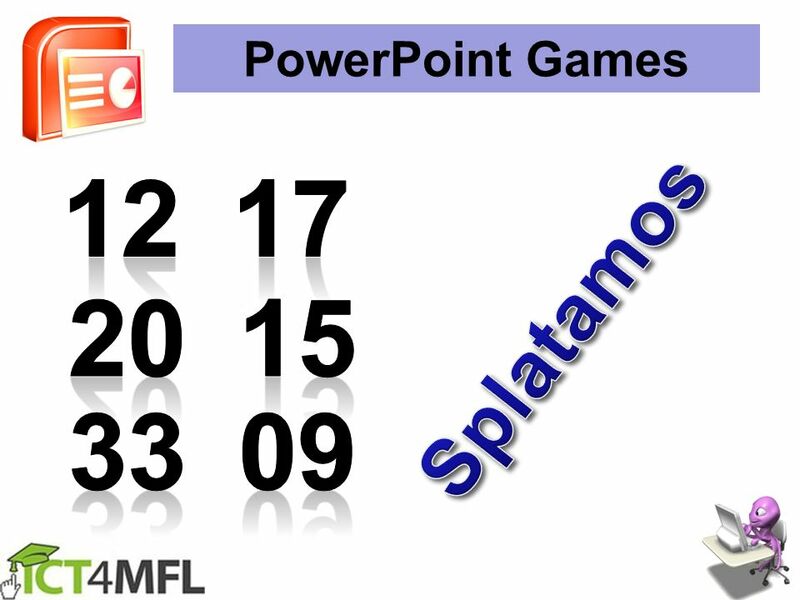 Results are displayed in real time on the whiteboard. 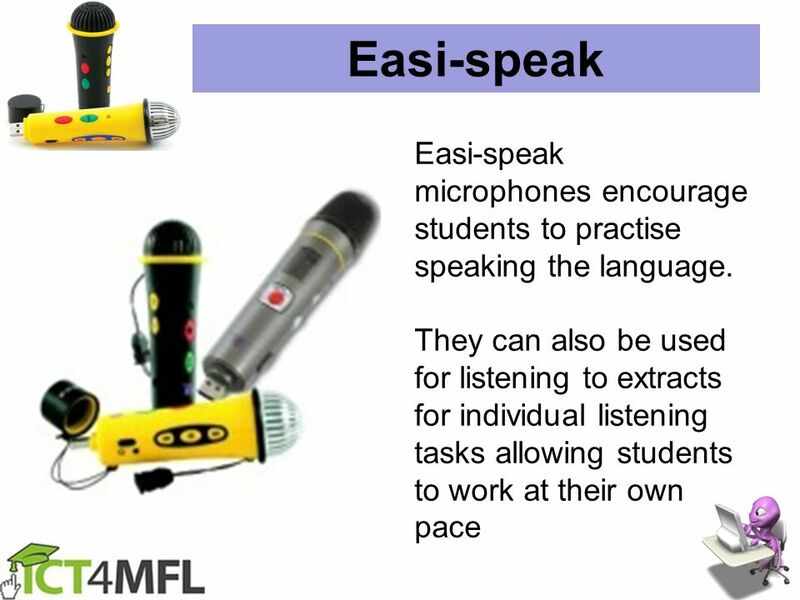 20 How might this be useful in the MFL classroom? 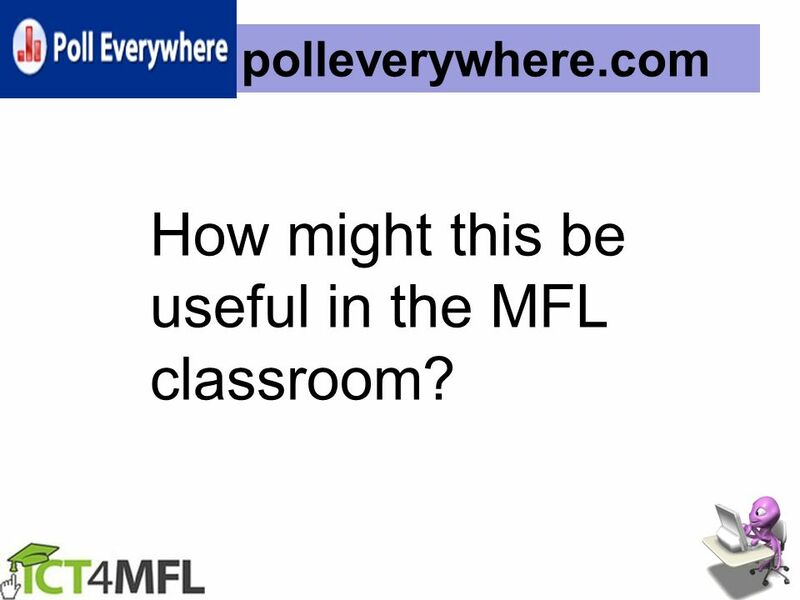 polleverywhere.com How might this be useful in the MFL classroom? 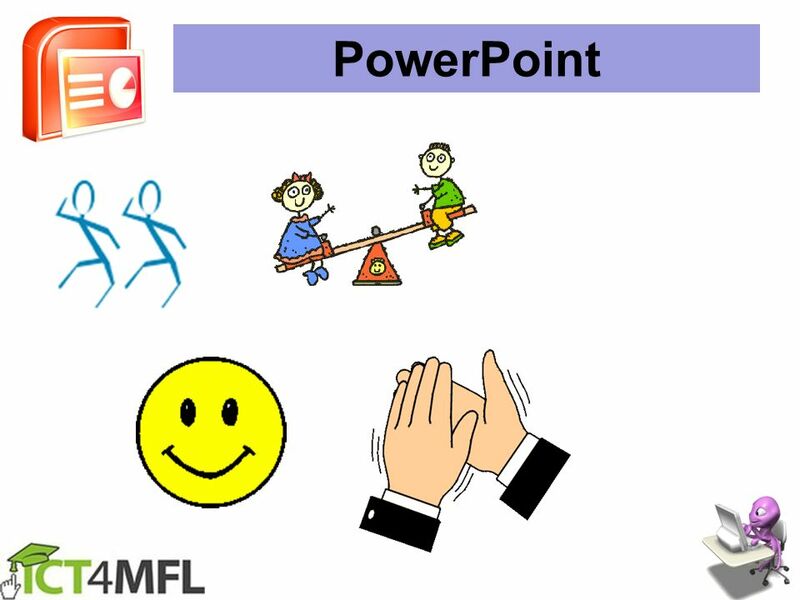 Télécharger ppt "PowerPoint. 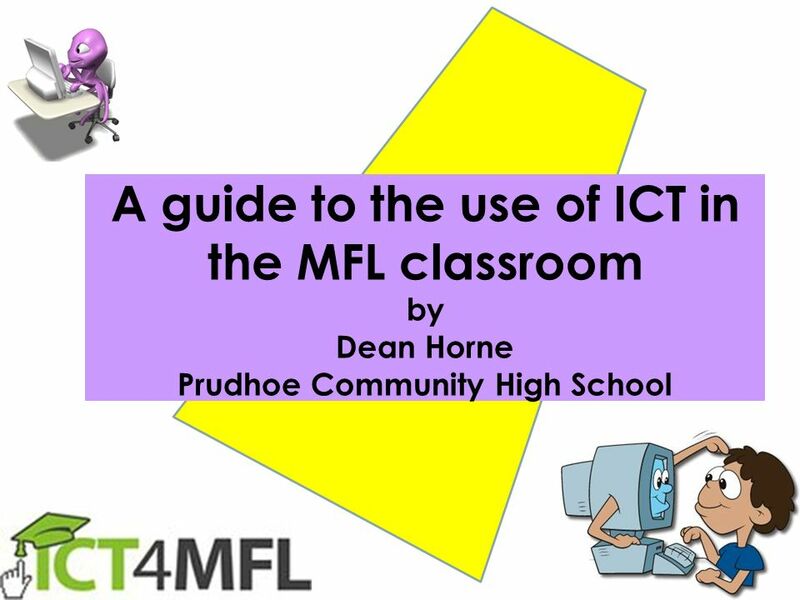 A guide to the use of ICT in the MFL classroom by Dean Horne Prudhoe Community High School." 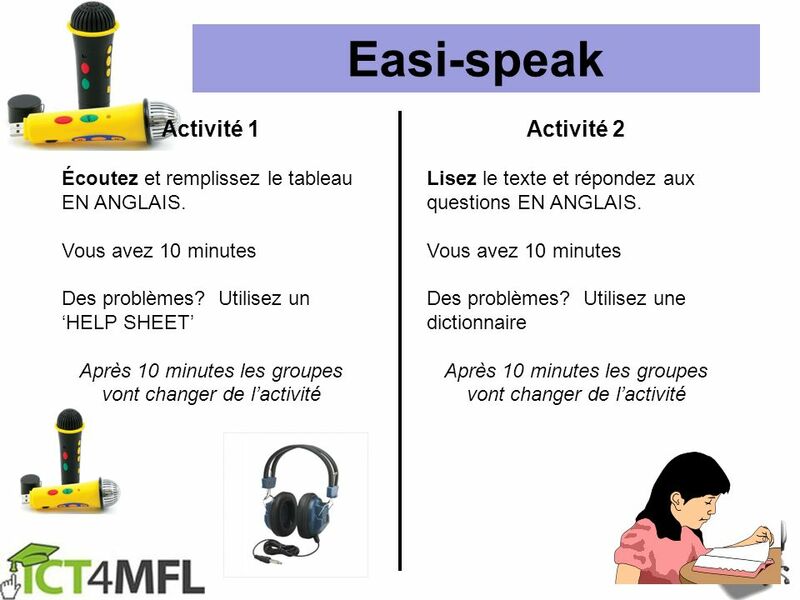 Quest-ce que tu fais normalement en ville? What do you normally do in town? 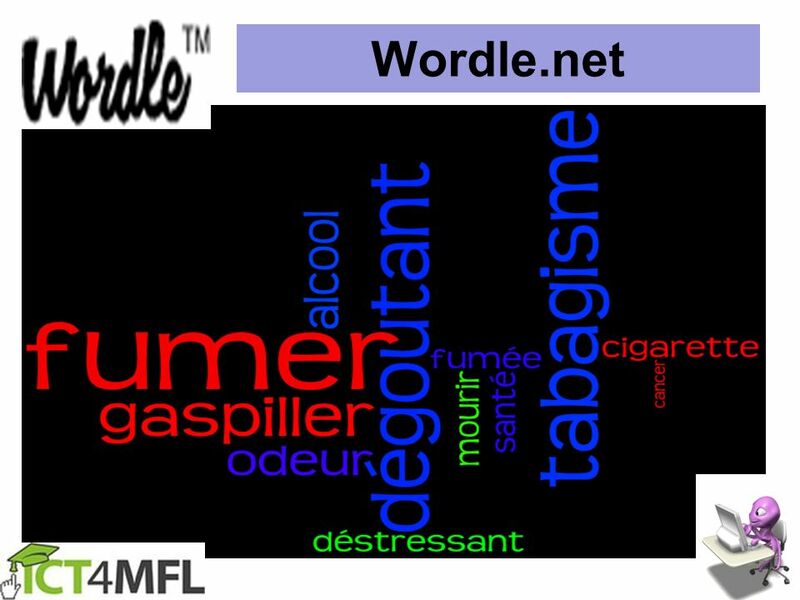 Tous les weekends je vais… Je vais normalement … Je vais souvent…. avec parce.